Matthew had a field trip today and spent the afternoon out in the sun. He came home from school and his awesome freckles were out in full force! Matthew gets his freckles from me. When I was a kid I practically lived outside in the summer and after a day in the sun my freckles would be super prominent. I used to hate them when I was a kid, but I absolutely adore Matthew's. They fade a bit in the winter, but as soon as the sun comes out, out come the freckles. I love that it's something I share with him, and I love how cute they look sprinkled across his nose. He'll probably read this blog someday and hate that I said that. Sorry Matthew. 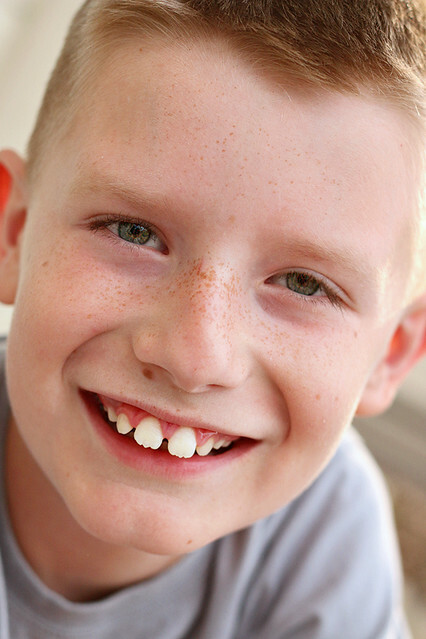 :) But seriously, those freckles, and the awesome 10 year old boy they belong to, make me happy!